An enthralling adventure set in a strange world on the high seas. Petrel is an outcast on the ancient ship, an icebreaker, that has been following the same course for 300 years. In that time, the ship’s crew has forgotten its original purpose and broken into three warring tribes. Everyone has a tribe except Petrel. Nicknamed the Nothing Girl, Petrel has been ostracized ever since her parents were thrown overboard as punishment for a terrible crime. But Petrel is a survivor. 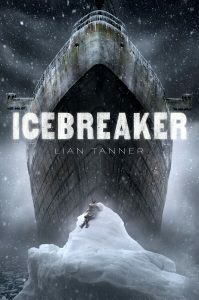 She lives in the ship’s darkest corners, and trusts no one except two large gray rats – that is, until a mysterious boy is discovered barely alive on an iceberg, and brought onto the ship. He claims to have forgotten even his name. The tribes don’t trust strangers, so Petrel hides the boy, hoping he will be her friend. What she doesn’t know is that the ship guards a secret – a secret the boy has been sent to destroy.